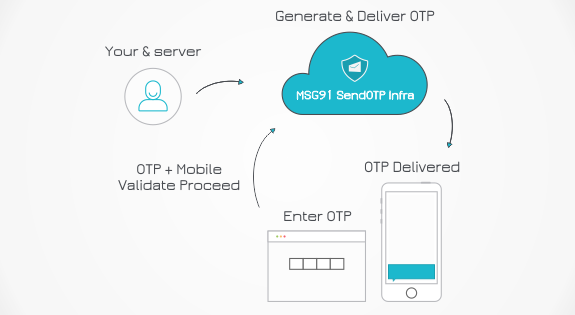 SendOTP is an integrated platform of MSG91 through which you can easily integrate 2-factor authentication/mobile verification service in your application to generate, send and verify one time passwords for ‘n’ number of users, never letting your end-user go. SendOTP maintains the database for the sent OTPs and they can be easily filtered. It reduces significant amount of coding on the application part making it lighter. The user is verified in just two steps and all it takes is 120 seconds.